A guide to the Society’s publications and resources relating primarily to the history of lead mining in Derbyshire, but also covering other types of mineral mining both in Derbyshire, elsewhere in the UK and across the globe. Please note that all our publications are protected by copyright law. If you wish to use any part of a PDMHS publication (for anything other than purely personal purposes) you should seek permission. You should also ensure that both the source and the copyright holder are credited. A fee will be charged for any commercial use of text or images. This is PDMHS’ premier publication, and contains in-depth articles primarily relating to lead mining in the Peak District – but also other minerals and mining areas. There are normally two issues a year – which are free to Society members. Some back issues can also be purchased from the Peak District Mining Museum shop. The library at the Museum holds a complete archive of Mining History dating back to the very first issue in December 1959. Scanned digital versions of many articles are also available to download in PDF format here. The quarterly newsletter is a smaller and less formal publication than Mining History. Intended primarily for members of the Society, it includes valuable shorter articles as well as notices of upcoming guided walks in the Peak District and underground mine trips, new observations and discoveries about mines, book reviews, general Society news, updates on mining conservation projects, the Lead Mining Museum and our membership (births, deaths and marriages!). The library at the Peak District Mining Museum in Matlock Bath holds a complete archive of the newsletter dating back to 1959, and scanned PDF versions are also available to Society members. A number of powerful, yet easy to use databases, containing such things as census records for Peak District miners, a comprehensive list of coal and mineral mines in Derbyshire, and newly discovered information about mines in Derbyshire. Downloadable articles from the Society’s Bulletin Mining History, dating back to 1959. Other publications including Newsletters dating back to 1959. Some of the content is only available to Society members. To gain access to it, you need to join PDMHS. To the best of our knowledge all materials on this web site are used with the originator’s permission. Should that not be the case, please let us know and the item will be removed. The Society’s library is held at the Mining Museum in Matlock Bath, and is one of the most comprehensive collections of material relating to mining in the Peak District. 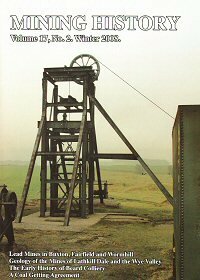 In addition to a complete archive of our own publications, the library holds copies of other journals, books, maps, surveys, photographs and other material related to lead mining, mining in general, and the Peak District. An overview of the contents of the Society’s library can be seen here. 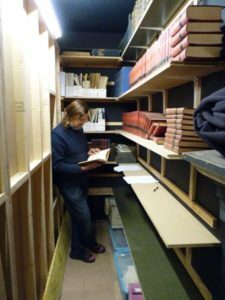 Only the Recorder, assistant and Museum Staff have access to the Library’s storage area. Please contact the Museum in advance to make arrangements if you wish to visit the Library. Some of the most historically important documents PDMHS has collected are stored at the DRO due to their conservation experience and resources. DRO also holds many other documents useful to researchers interested in Derbyshire Mining History. An index of the PDMHS collection is here. The collection is not (currently) digitised but to access the items contact the DRO, details are here.